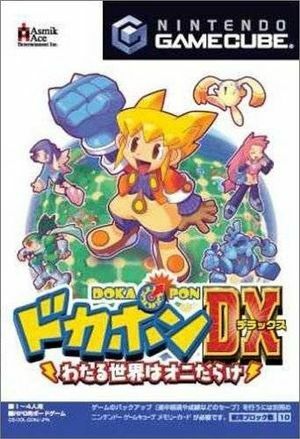 Dokapon DX: Wataru Sekai wa Oni Darake (ドカポンDX 〜わたる世界はオニだらけ〜) is an action-RPG / board game developed and published by Asmik Ace Entertainment exclusively in Japan for the Nintendo GameCube. The graph below charts the compatibility with Dokapon DX: Wataru Sekai wa Oni Darake since Dolphin's 2.0 release, listing revisions only where a compatibility change occurred. This page was last edited on 16 January 2018, at 12:42.